Our exterior mechanical load scales are ideal for those that simply want to monitor and maintain legal weights. 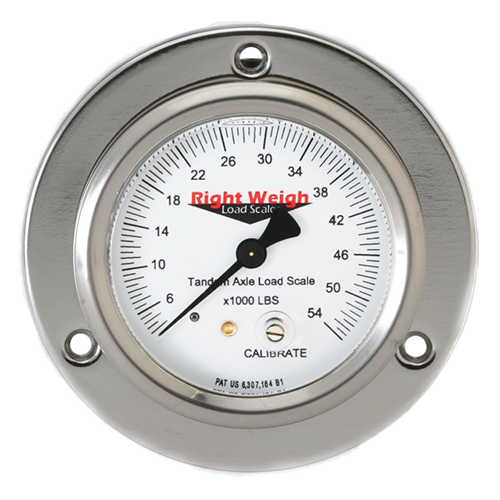 The exterior mechanical scales are easy to install and calibrate, and can be mounted on either a truck or trailer. Specific models are available for single, tandem and triple axle configurations. There are two different models to choose from. 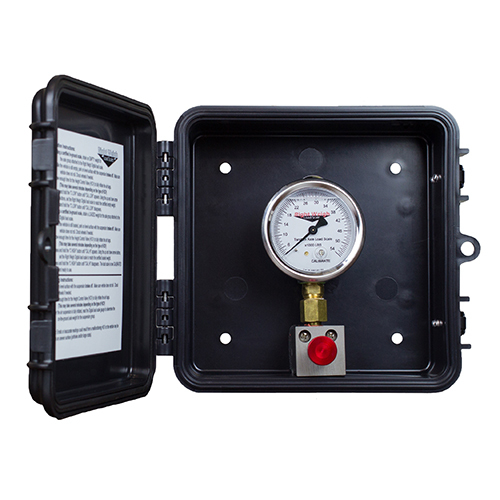 The larger 3 ½ inch gauge comes mounted in a custom, weather resistant enclosure with a push-pull valve to bleed the pressure out of the gauge when it is not in use. The smaller 2 ½ inch liquid filled gauges contain silicon that prevent corrosion and absorbs vibration and pressure spikes, even in extreme weather conditions. These liquid filled scales are ideal for flush and fully exposed exterior mounting. 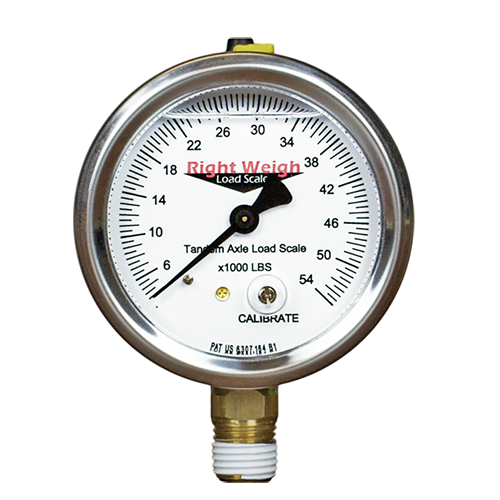 In most cases, they can replace the factory installed PSI gauge of the same size and shape.